Marty’s photo of the day #2785: I will never visit a country that supports whaling. So no Japan for me! Their withdrawal from the International Whaling Commission to resume commercial whaling for the first time in 31 years is reprehensible. 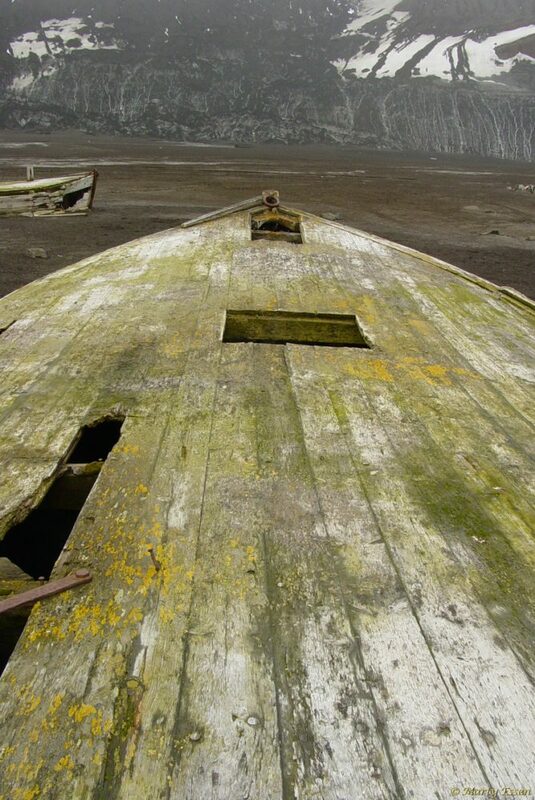 Today’s photo is of an old whaling dinghy, stuck in volcanic ash, on Deception Island, near Antarctica. The dinghy makes a great subject for an artsy photo, which is the only thing it’s good for.